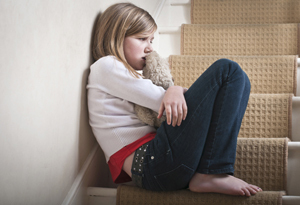 About Trauma | Center for Attachment & Trauma Services, Inc. Early traumatic experiences interfere with healthy brain development, including attachment functioning. Persistent exposure to traumatic experiences can inhibit or even damage healthy attachment functioning. Healthy, secure attachment helps to buffer the impact of trauma. Persons with attachment weaknesses are more likely to be impacted by traumatic events, but the severity and frequency of trauma exposure makes anyone vulnerable. Because attachment is based in TRUST, it may be difficult for those who have experienced trauma to trust others. When the attachment system is activated (that is, when we feel stressed, unsafe, or threatened), our attachment behavior patterns begin to emerge automatically. These split-second reactions occur faster than we are aware, making it very difficult to recognize or control unhealthy and unwanted thoughts or behaviors. Our bodies have built-in mechanisms intended to react in ways that keep us alive and safe, but sometimes those subconscious triggers affect our perceptions regarding threat and safety. The brain can adapt and heal at any age with specific therapeutic interventions offered at CATS. Because our clinicians all have a solid understanding of attachment and trauma, we are able to implement specialized therapeutic strategies to help resolve trauma and strengthen attachment. We also educate family members about the meaning behind the behaviors observed that seem to be prohibiting an attachment from forming. The earlier a family receives support, the faster the healing process. CATS is a non-profit outpatient therapy center located in Springfield, VA and Haymarket, VA.